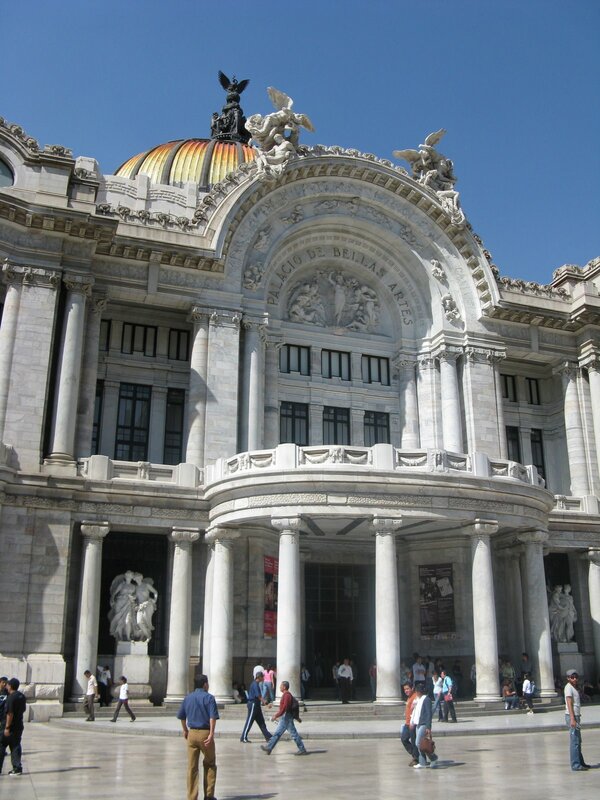 Mexico City is amazing….huge, quaint, cultural, old, new, quiet, and loud…all depending on where you are! 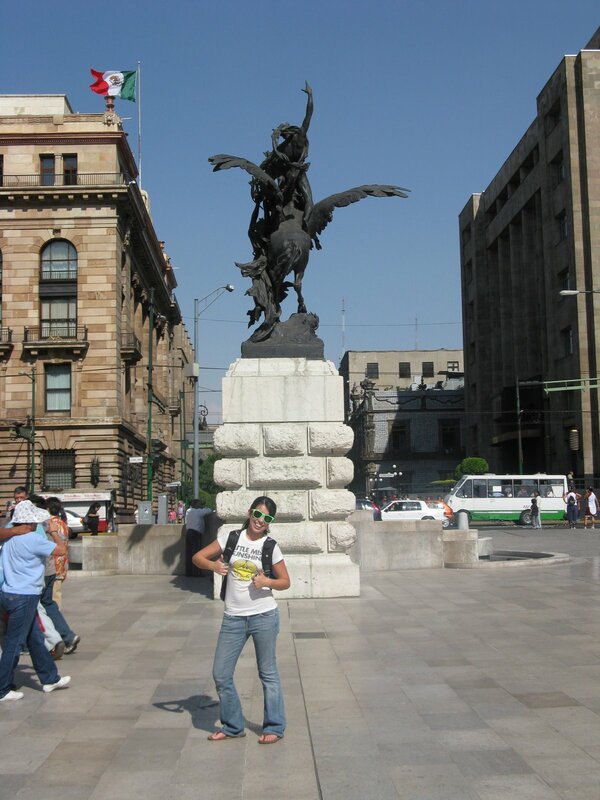 I loved it and in all reality, with only 3 days in the city, I barely saw any of it! 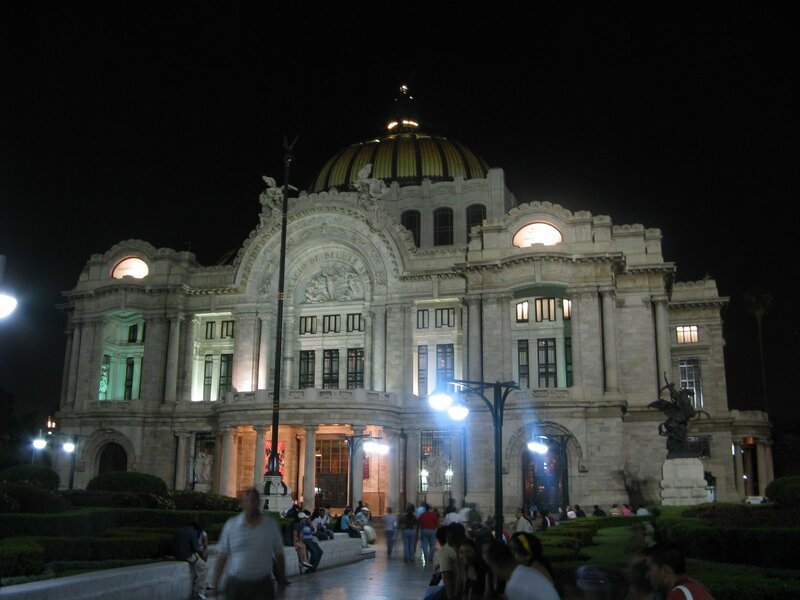 Palacio de las Bellas Artes. The second and third floors are covered with giant murals! 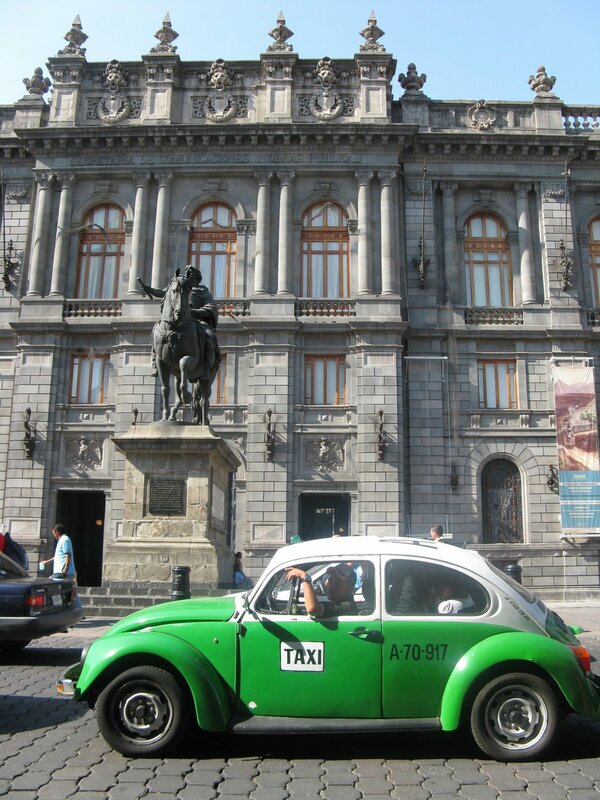 Headed from lunch at Cafe Tacuba toward the Zocalo. 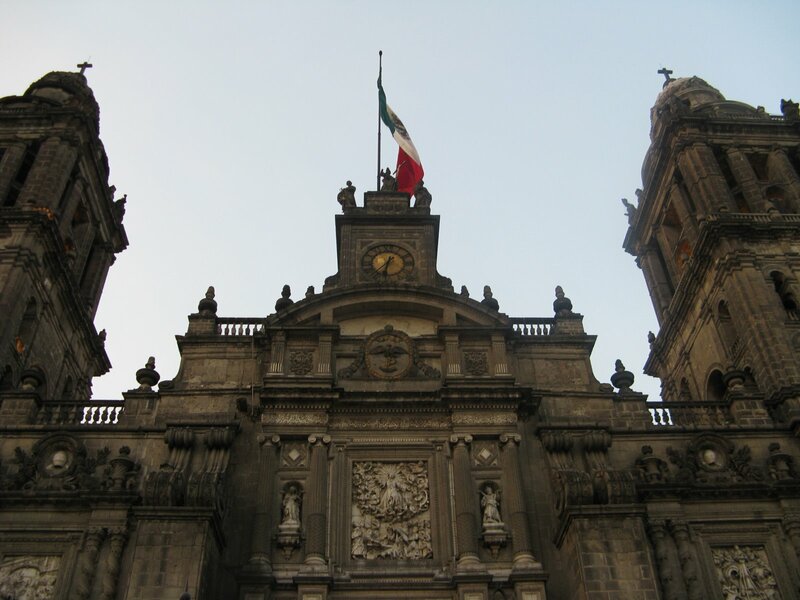 The Zocalo is a giant central plaza in Mexico City. 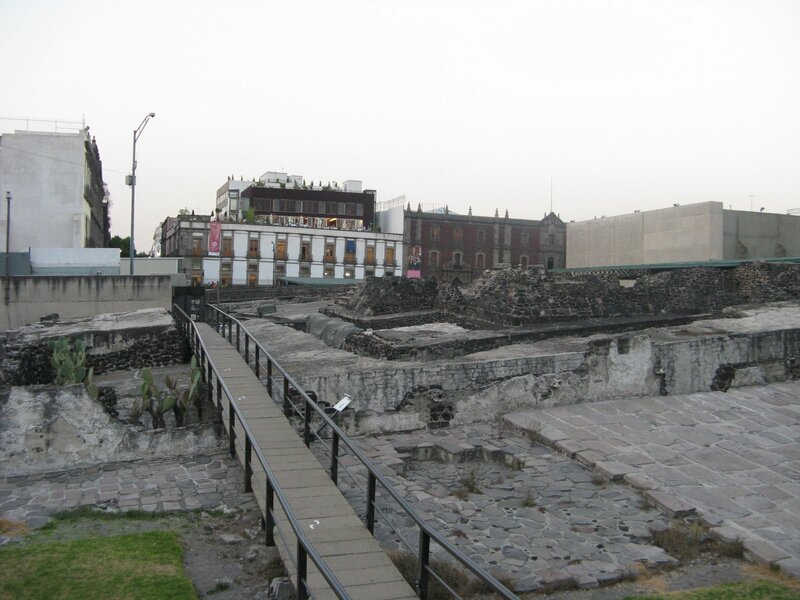 There are Aztec ruins just a block from the Zocalo! 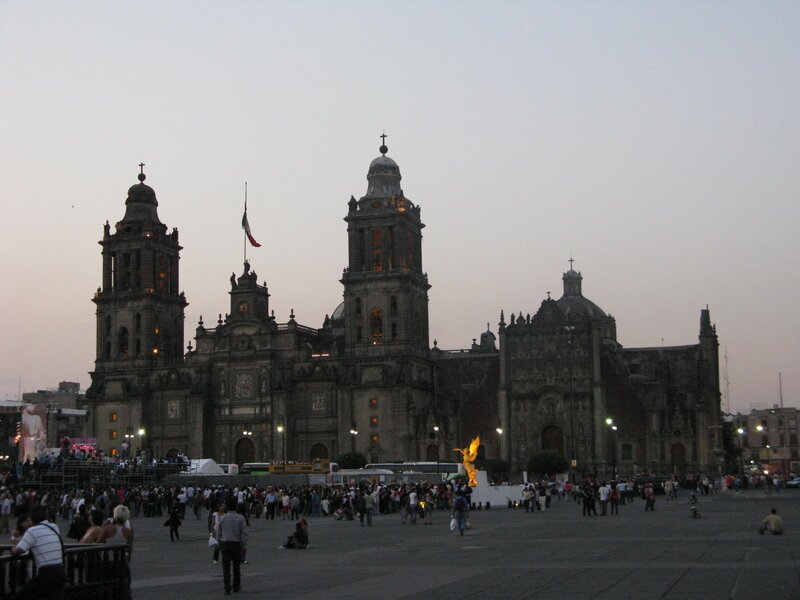 Looking across the Zocalo toward the cathedral. There was a giant quinceañera party going on while we were there. The government had put on a party for several hundred girls who couldn’t afford to have their own party. They were all dressed up in ball gowns, dancing on the stage. I thought two doors taxis seemed silly, until Alex pointed out that there’s no passenger seat, leaving more space for people to crawl into the back. 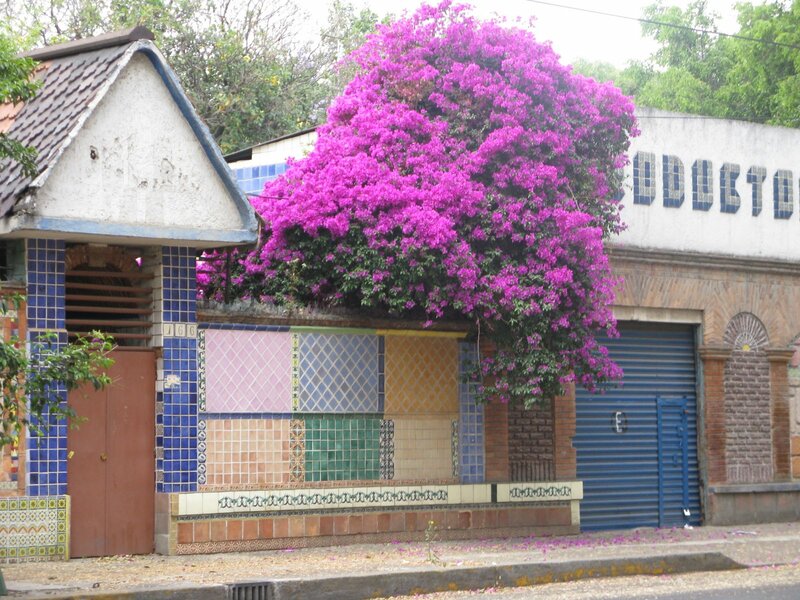 What a pretty building in the Coyoacan area. 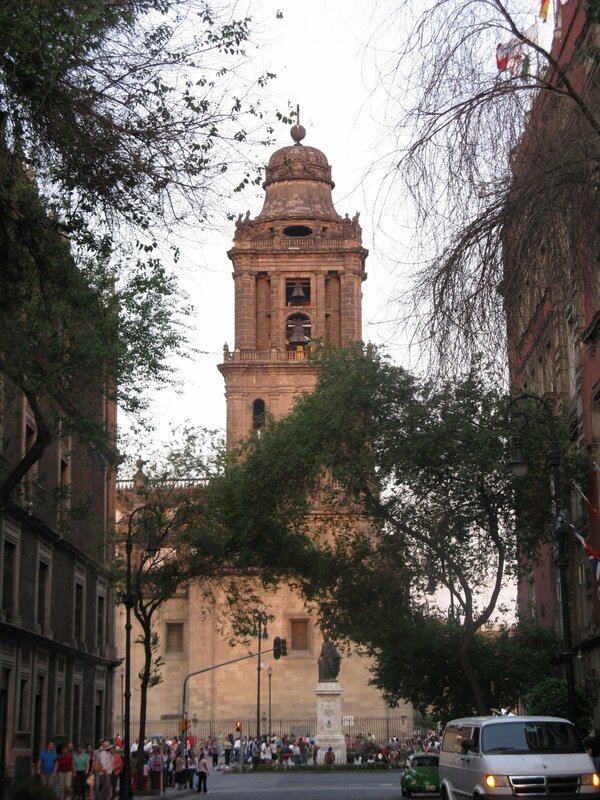 Posted in Iglesias, Mexico, TripsBookmark the permalink.